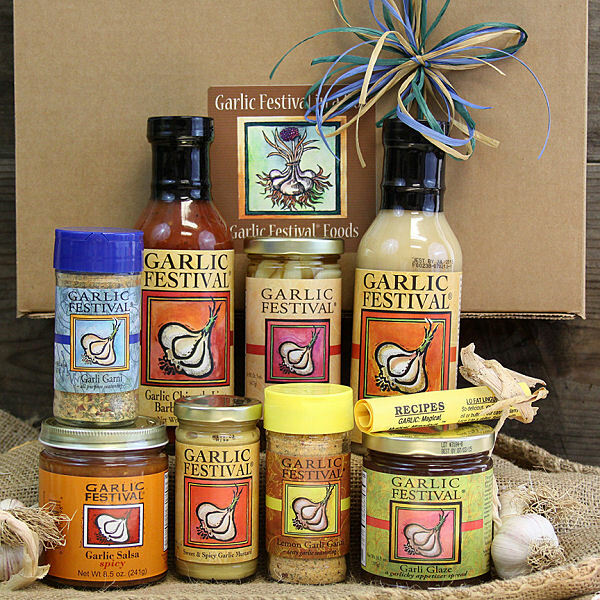 A selection of our most popular products make up this fabulous gift box: Garli Garni, Sweet & Spicy Garlic Mustard, Chipotle Garlic Lime BBQ Sauce, 1 of our Garlic Festival Salsas (your choice), Spicy Herb Pickled Garlic, Garlic Festival Roasted Garlic Marinade Sauce, Garli Glaze, and your choice of another Garlic Festival seasoning packed within a large gift box. A gourmet's delight! 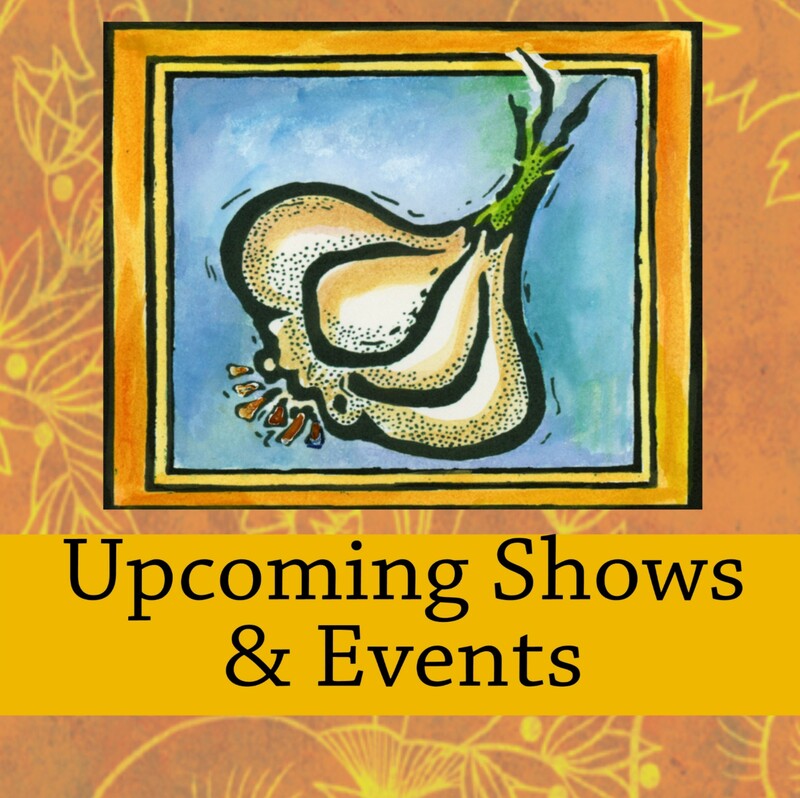 When available (June thru December) a fresh garlic bulb will be included. Its great. We will enjoy the products over the next few months. 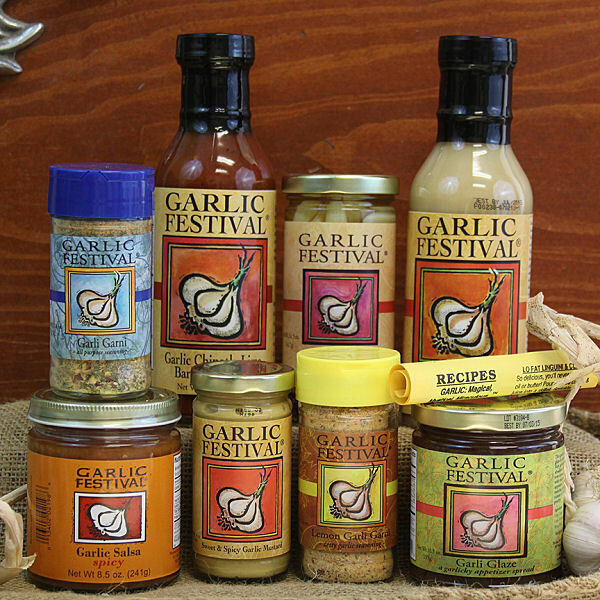 I recommend it for anyone that loves the Garlic Festival products.